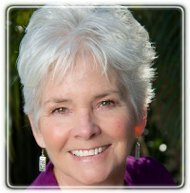 San Marcos Therapist: Christine Brown - Therapist 78666. Conflict in relationship is inevitable; resolving conflict and restoring peace isn’t simple. God created us to have meaningful, fulfilling relationships with others and with Him, and I want to help others create and experience relationships that bring joy and contentment to their lives. I became a therapist because I want to help hurting people heal and grow. Practicing for more than a decade, I am glad to serve the cities of San Marcos, New Braunfels, Wimberley, and all of Hays County. My master’s degree is in marriage and family therapy from Azusa Pacific University and I am licensed both by the State of Texas and the State of California. As a therapist, college instructor, group facilitator and speaker, I have been personally involved with individuals, couples and families growing out of chaos and pain into greater connection and cooperation. I look forward to helping you too! Your journey toward healing and wholeness begins now. Call today to schedule an appointment.